When you own a small business, you and your company image are entwined. As the name and face of my company, I’ve discovered that this isn’t a bad thing. 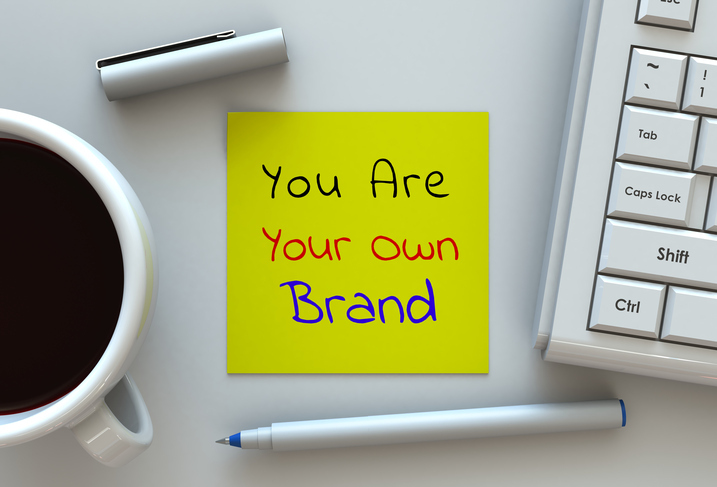 To the contrary, it opens tremendous opportunities for advancing your business when you embrace your personal brand’s role in helping your business succeed. Of course, to make the most of the possibilities, you need to step up your personal branding efforts. By making my personal branding efforts a priority, I have helped boost awareness of what my company does and attract new customers. While the most effective personal brand attributes will vary depending on who you are, the type of business you run, your target customers and other factors, I believe some characteristics are universally critical for making sure your personal brand serves as an essential asset to your business. I take this to heart when it comes to my personal branding, and I encourage you to, as well. Online, present the same person that people will meet when they are face to face with you. Don't try to be someone you're not, lie about accomplishments or otherwise attempt to deceive your audience. If you do, people might not catch on immediately, but they WILL eventually find out that you're not truthful—and both your personal image and your business's reputation will suffer for it. To connect with the right audience and get the exposure you want, you will need a game plan that makes the best use of your time and energy. Carefully consider where your target audience spends its time online (Twitter? Instagram? Facebook? LinkedIn? etc.) before you sign up for social media platforms. If your online strategy includes Facebook or LinkedIn, consider participating in (or creating) groups where people frequently visit when looking for direction on topics that you specialize in. Also, look for opportunities to introduce yourself and your company through other reputable channels. For example, I often participate in media interviews and write guest blogs for websites that publish articles related to my industry and area of expertise. Avoid setting up accounts on more social media channels than you can handle or otherwise spreading yourself thin, however. It's easy to get burned out by trying to do too much. The same applies to your offline personal branding efforts. Choose business organization memberships, networking events and presentation opportunities judiciously. Earlier, I mentioned the importance of being your authentic self in your personal branding. In doing so, I’d be remiss not to mention that being authentic does not mean oversharing personal experiences on social media or publicly saying whatever comes to mind when someone disagrees or questions you. Yes, you can pretty much say almost anything online, but that doesn’t mean you should. You are the face of your business. If you go off on a rant, respond harshly to a comment or make political or religious statements, realize that you might offend or alienate followers. My suggestion is always to consider your intentions and what the ramifications might be—before you post anything online. If what you want to post will do something other than provide value to your audience or nurture a positive bond with your followers, it will probably be in the best interest of your brand to not follow through with it. When you commit to personal branding to benefit your business, you must be present and actively engaged in the process. It takes ongoing effort to build credibility and trust. Consistently post content that you or your company has created as well as material from others in your industry to show that you are at the top of your game. Different platforms require varying levels of participation to stay on the radar. Also, when you receive messages and comments from your connections, reply to them promptly to show that you value their thoughts and welcome conversations. People will view your openness and responsiveness (or lack of) as indications of what they might expect from your company if they do business with you. Rather than feel overwhelmed by the fact that your personal brand and your business brand are so closely tied, I encourage you to embrace the possibilities. You will be the quintessential ambassador for your company by presenting a genuine, disciplined, judicious and fully engaged personal brand. The more you put yourself and your expertise out there, the more respect and loyal followers you’ll earn for your business.